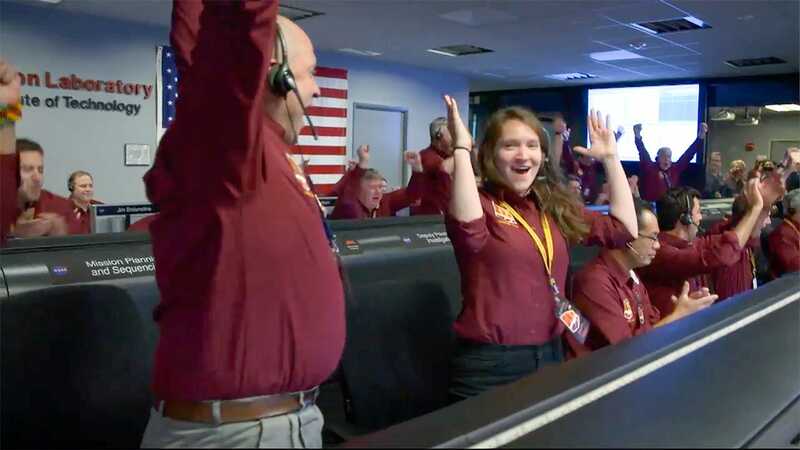 NASA JPL/YouTubeScientists and engineers inside mission control at NASA’s Jet Propulsion Laboratory celebrated the landing of the InSight Mars probe on November 26, 2018. NASA just successfully landed on Mars for the eighth time in the agency’s history. 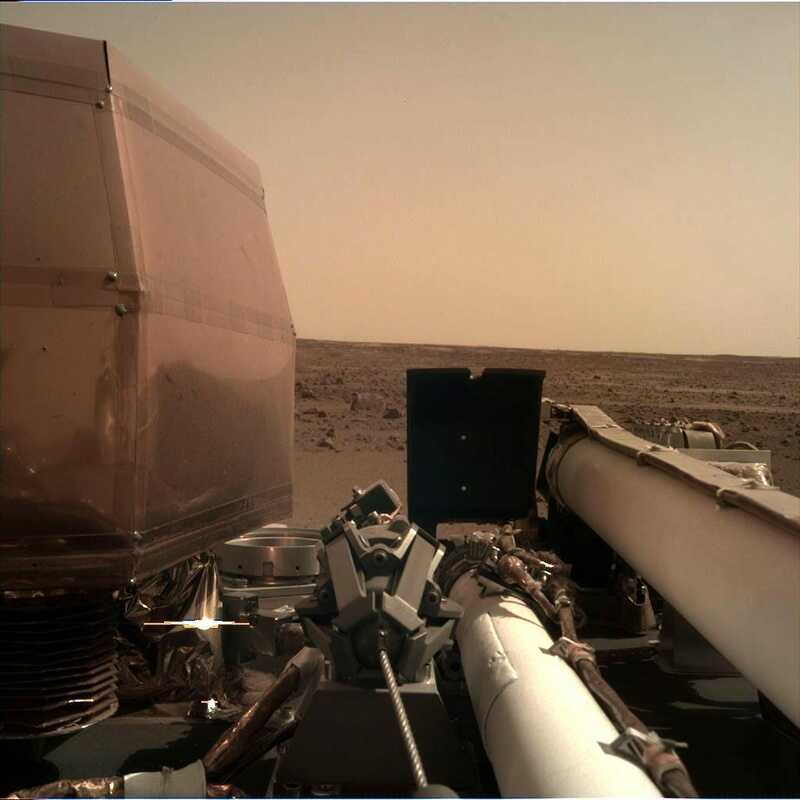 InSight will now spend approximately two Earth years on Mars, checking for quakes and taking the planet’s temperature. NASA’s InSight lander hit Mars on Monday at 2:54 p.m. ET. 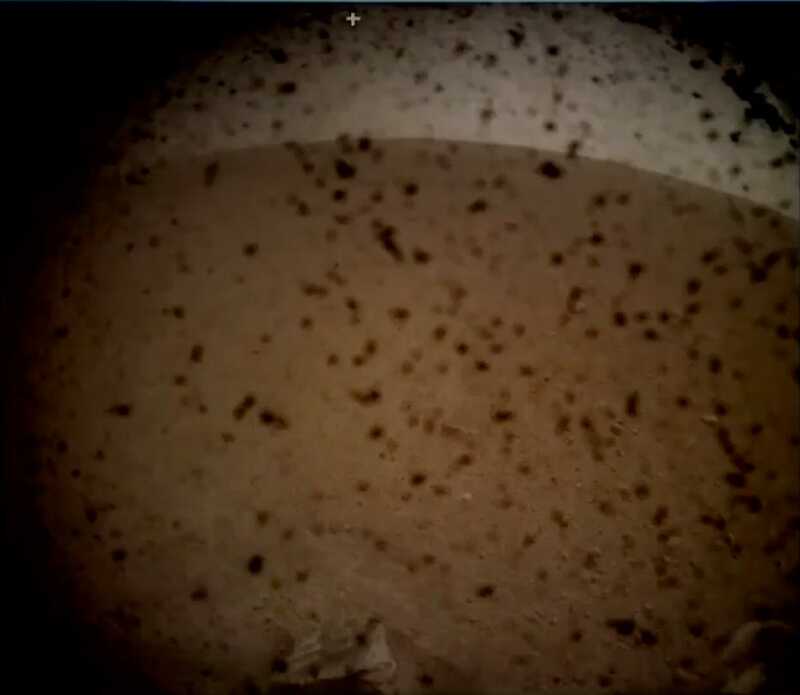 The speckled photo came from one of InSight’s two built-in cameras. It looks gritty because the lens still had its dust cover on, but that part will come off as the lander settles in. About half an hour later, InSight’s other built-in camera (mounted on a robotic-arm) got it’s own first look at the section of equatorial Mars, Elysium Planitia, where the lander is currently setting up shop for Martian research. NASA/JPL-CaltechShortly after NASA’s InSight lander touched down on the Martian surface, on November 26, 2018, the robot took this photo. The image shows the spacecraft’s instrument deck and the flat plains of Elysium Planitia. InSight will spend about two Earth years checking out the red planet, some 140 million miles away from Earth. The robot will attempt to hammer a heat probe 16 feet deep into Martian ground – a depth that has never been explored before – to check the planet’s temperature. It will also use a seismometer to track quakes, and a pair of antennas with a radio transmitter will record how much the planet shakes and wobbles as it orbits. Scientists hope that the roughly $US828 million mission will help answer questions about how rocky planets – including Earth, Mars, Venus, and Mercury – formed.